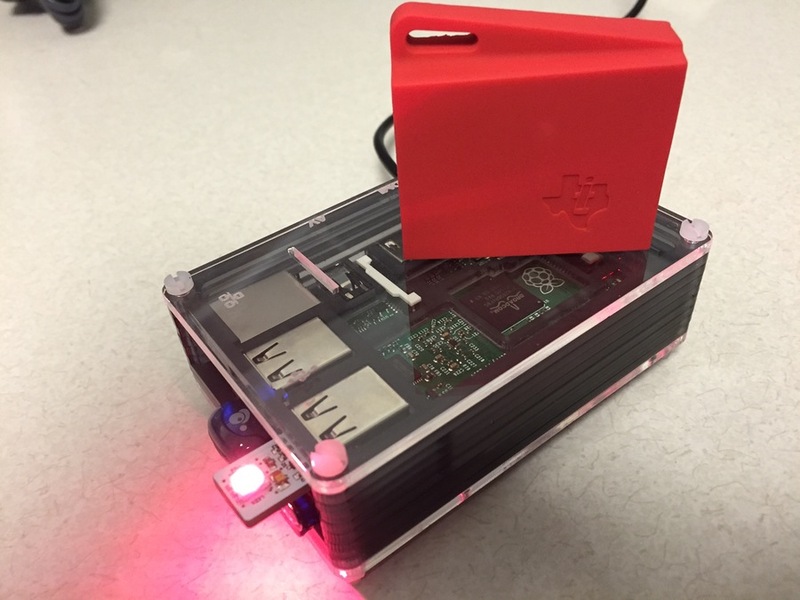 David Harris posted a great tutorial on how to set up Raspberry Pi, TI SensorTag 2 and BlinkStick to act as a smart light that responds to remote lighting conditions. Head over to hakster.io for a very in depth tutorial. Here is a very quick sample code to control BlinkStick blinking with Node.js and keyboard that may come in use for somebody. 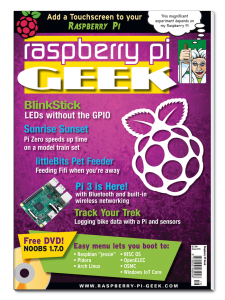 Latest edition of Raspberry Pi Geek features an article about BlinkStick! Dmitri Popov has written and amazing article about BlinkStick and it is featured in the latest edition of Rasperry Pi Geek! Be sure to check out this great blog post by Dmitri Popov and his neat way to get a BlinkStick notification whenever somebody visits his photo gallery running on a Raspberry Pi! I’m using BlinkStick with Pygmyfoto running on my Raspberry Pi. Every time someone visits the gallery, BlinkStick blinks with random color. Read the full blog post over here: Using BlinkStick with Raspberry Pi and let’s get his BlinkStick blinking! Now there are even more ways to control your BlinkStick remotely! Remote control is a neat little feature, that allows your BlinkStick to become internet enabled device once connected to a computer. Head over to the tutorials section to find out more. 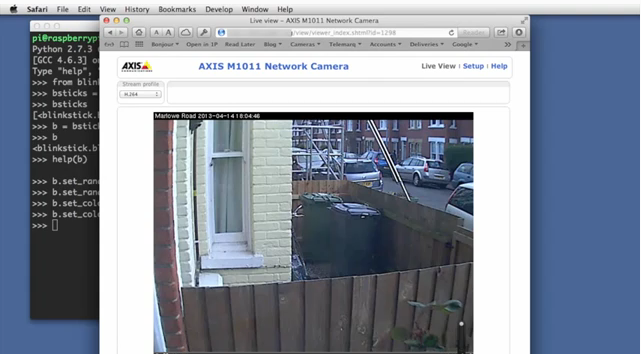 Quentin Stafford-Fraser came up with a brilliant idea on how to combine web enabled camera, BlinkStick and Raspberry Pi to give him a notification whenever postman arrives at his door. It also gives a great overview of BlinkStick package for Python. Check out his original blog post with embedded video and links to all of the tools and software packages used to achieve this neat hack!